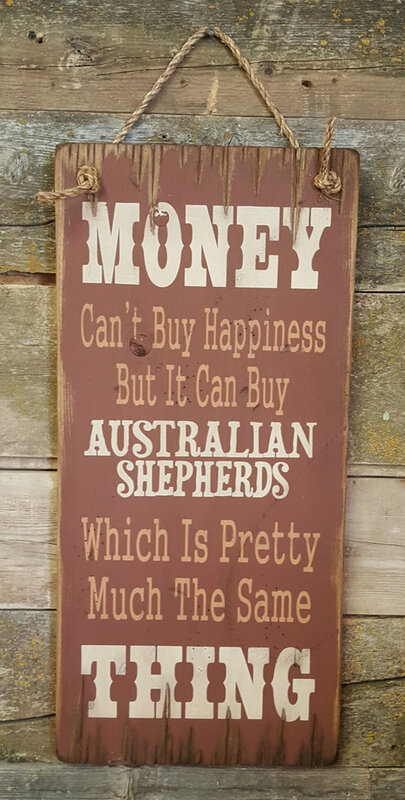 Money Can't Buy Happiness, But It Can Buy Australian Shepherds, Which Is Pretty Much The Same Thing!! These dogs can be addictive… their loyal and hard working personalities can grow on you. This rust background sign measures 11x24 and comes with the grass rope hanger for easy hanging! Handcrafted with pride! !